Lover of bursting charcuterie boards, colorful textured floral arrangements, and giant balloons, I have been planning and designing events since 2009. I am passionate about creating incredible events with gorgeous details that foster opportunities for inclusion and connection. Beginning my event design career in nonprofit spaces, I am passionate about incorporating social justice into my work. Not only do we donate 10% of our sales to community organizations which work to end violence against women, we work with our clients to help make sure that your wedding or event reflects your values. Sassy wedding photographer. Anti-fascist, pro-humanity. Fat-positive, queer, and gender non-binary. 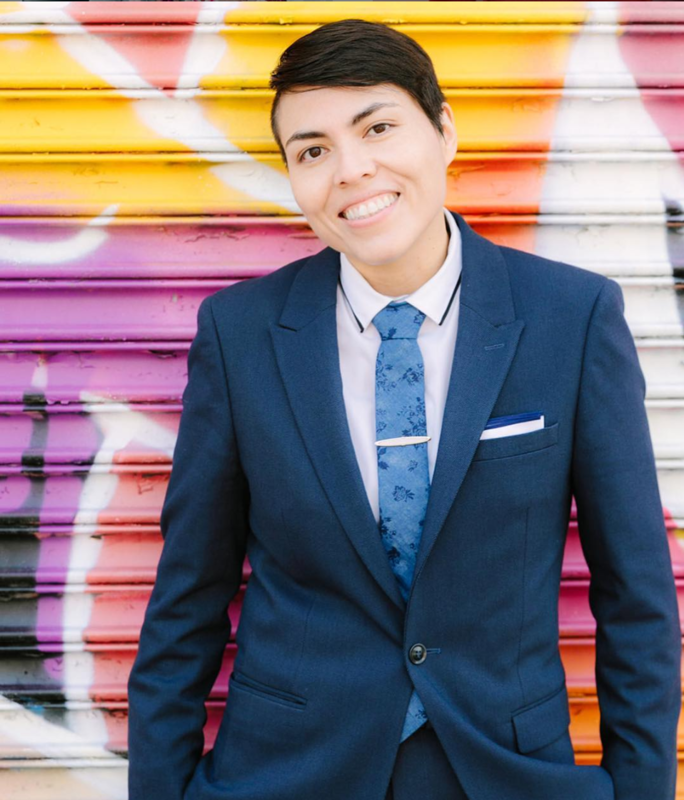 I have a special fondness for LGBTQIA+ weddings and ceremonies and I love to share anything I can to help revolutionize the industry into inclusion. I love writing about my life and experiences. I firmly believe in resting the mind, good drinks, good friends, and standing up. I know how draining navigating an industry built on capitalism and patriarchy is- but more importantly how much we love love and the concept of togetherness. It’s difficult to do both, but there are vendors worldwide who are disrupting and revolutionizing the industry from the inside out. I think community is so solid and important, the fact that we are able to meet once a year to unwind and emotionally lean on each other is what makes RWR special.